Questions. So many questions. People today are searching for answers as perhaps no generation before us. Where can we find hope? Can anyone love us . . . really? What would that look like? How can we find meaning in life? In what or whom can we put our faith and trust? Some search for answers through spiritual experiences and beliefs. Some try to live good, moral lives. Some follow religion (they ‘do church’) and miss the Relationship. Take a moment to read again the words at the top of this letter. To a world seeking faith, hope, and love, Easter’s glorious tidings are Good’s timeless answer! Jesus Has Risen! We do not serve a Saviour Who was martyred. We do not serve a Saviour who has passed away. Jesus is alive! He is alive for us today, personal, powerful and compassionate as we face life and all it holds day by day. He IS life. He IS our hope. 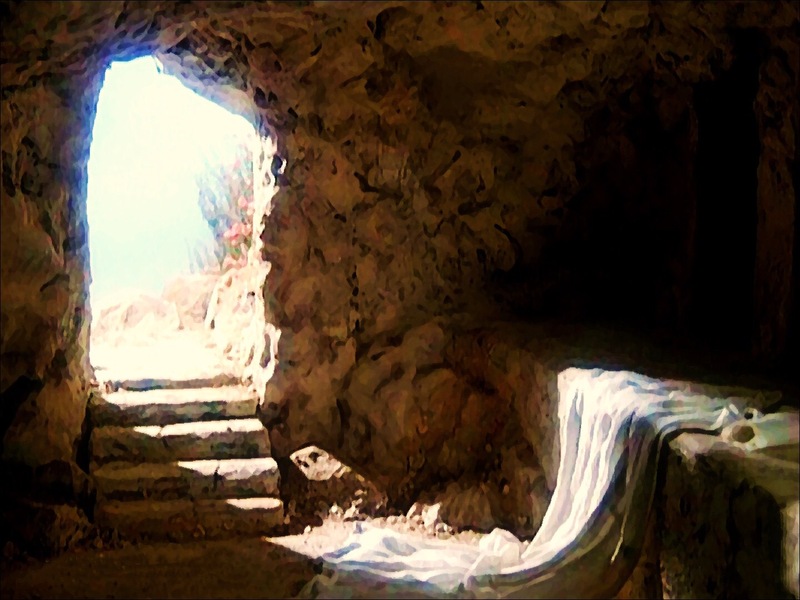 And, He is alive for all eternity. He calls us, who love and follow Him, to the assurance (Final Answer!) that we will live in His presence forever. Nothing else, and no one else, can promise us that. Walk with us through the services of Holy Week. Our Maundy Thursday service will be one of quiet reflection. Come and leave as time permits for you, between 7 and 8:30 p.m. There will be opportunity, should you wish to do so, to receive the bread and the cup in remembrance of the sacrifice of Jesus’ life for us. Friday morning (Good Friday) at 11:00 a.m., hear the voices at Jesus’ trial; hear the voices at the cross. Hear our voices. And on Sunday, Easter Sunday!, celebrate our Risen Lord as we start the day with a Sunrise Service in the Sanctuary at 8:00 a.m., and have Easter breakfast together in the CE Centre at 9:00. Everyone is invited to the fun of an intergenerational Easter activity at 10:00. Our Easter Morning Worship Service, beginning at 11:00, will focus on a smouldering pile of rubbish. Doesn’t sound like the Easter Morning services you have attended in the past? That’s okay. Come and see. God says, over and over again, ‘if you seek Me, you will find Me’. Ask the questions. Hear His answer. When the world gives us bad news and more questions instead of answers, Jesus said He came to bring Good News and to give us life, life to the full! May the gift of Easter be the joy of His presence with you, and with your loved ones.